Inevitably, Soulja Boy wasn’t hearing any of that. 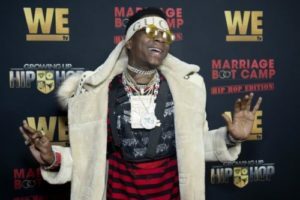 Twice removed from his chair, Soulja launched into a heated diatribe against the Canadian rapper. “Draaaake? the n***a that got bodied by Pusha-T?,” he answered quizzically as his hosts turned away in silence.